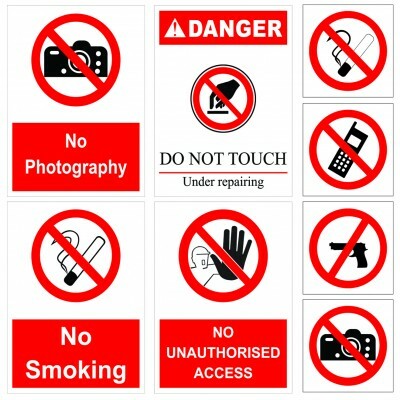 Usage: Prohibatory signs are used in places to inform people that a certain action is not allowed. 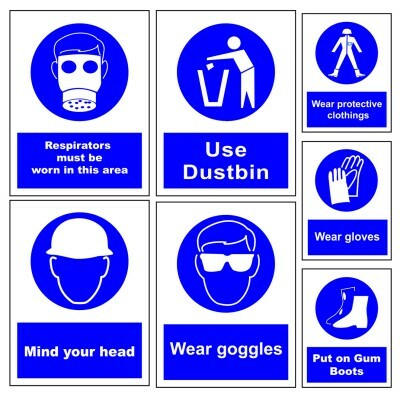 Usage: Mandatory signs are put in places to inform staff members or visitors that a particular safety item is mandatory. 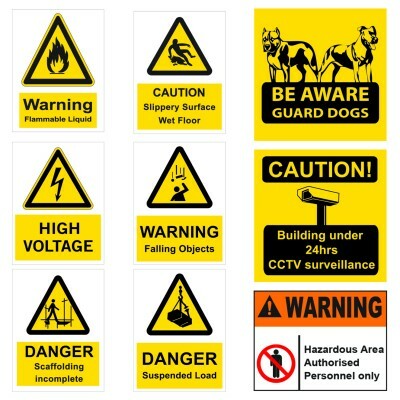 Usage: Warning signs is put in place to warn people about a possible danger. 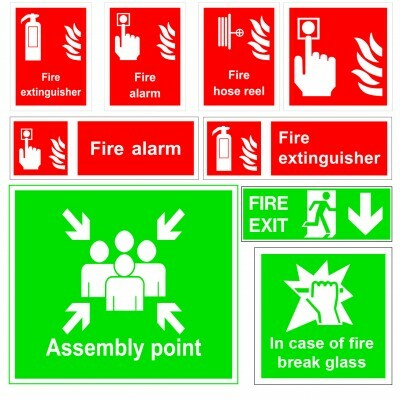 Usage: Used to guide and provide information about what to do in case of Fire. Screen printing ensures a better quality than Digital printing.